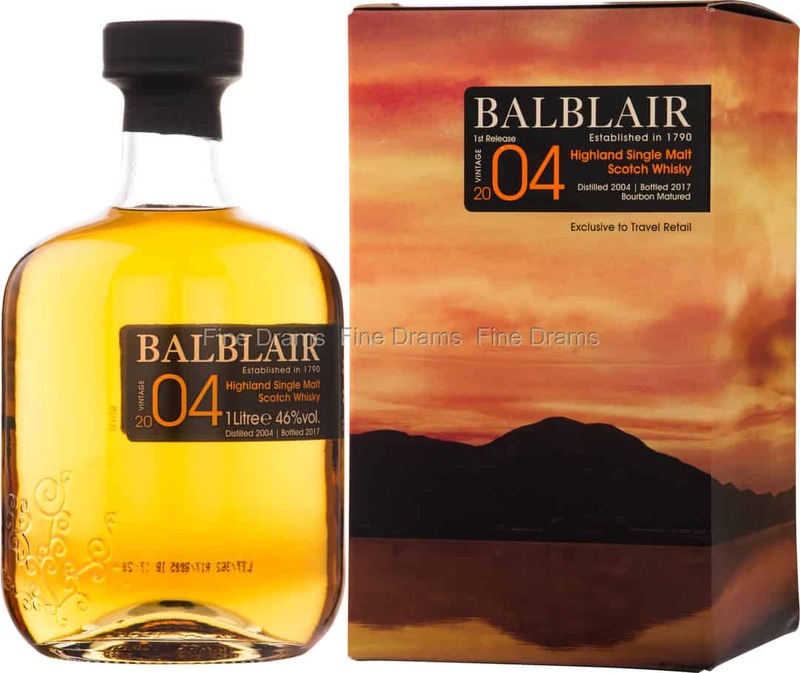 A belter Balblair Travel Retail release. This 2004 vintage was bottled in 2017, having matured for about 12 years in Bourbon casks. A delightful Highland dram, this is packed with flavours of precise, slightly sharp, toffee and vanilla that have come to characterise the Balblair house style. These notes are accompanied by some classic Highland flavours of crisp, spicy malt, and deep oak. Drinkers can also expect flavours of juicy citrus, lemon rind, peanut butter, toasted brown sugar, and chocolate. Bottled at 46% ABV and without either colouration or chill filtration, this is a dram with a full, creamy mouthfeel. Great value for money in this larger 1 liter size.